First flown on 23rd September 1954, WT651 entered service with 222(F) Squadron at RAF Leuchars in October 1954 but I have no details of any further history - it's likely her service life was a short one however and she ended up as a gate guard at RAF Credenhill. 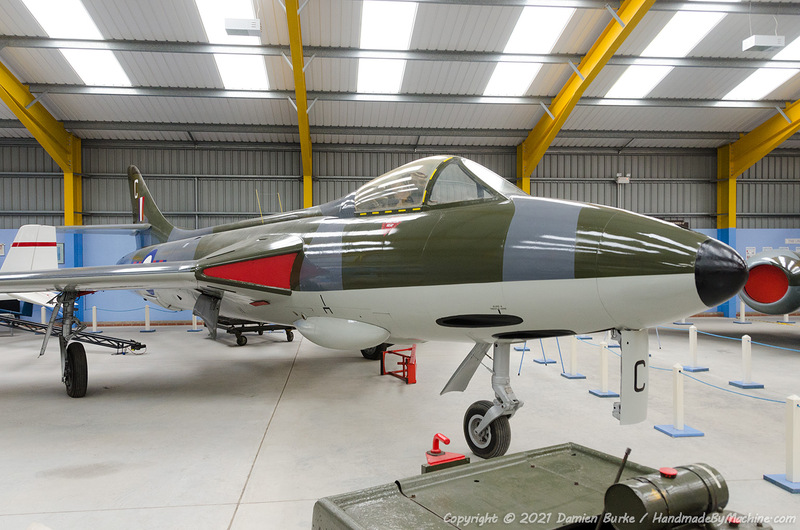 She has spent some years now at the Newark Air Museum and has gone through a number of variations of her paint scheme before finally ending up in correct 222(F) Squadron colours during 2005. Now that she's permanently undercover she will hopefully look this good for a long time to come!